This was a weekend Nantucket looks forward to all winter long! Even with a brisk breeze off the water, all of those gorgeous golden blooms at every corner made us feel that spring is really here. 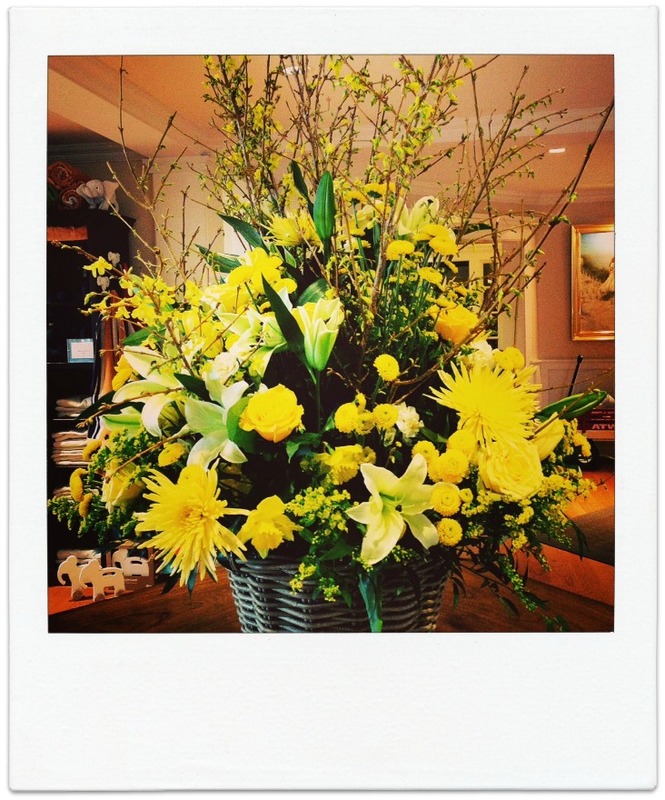 Despite all of the festivities of the past weekend we still can't get enough of our favorite spring flower. 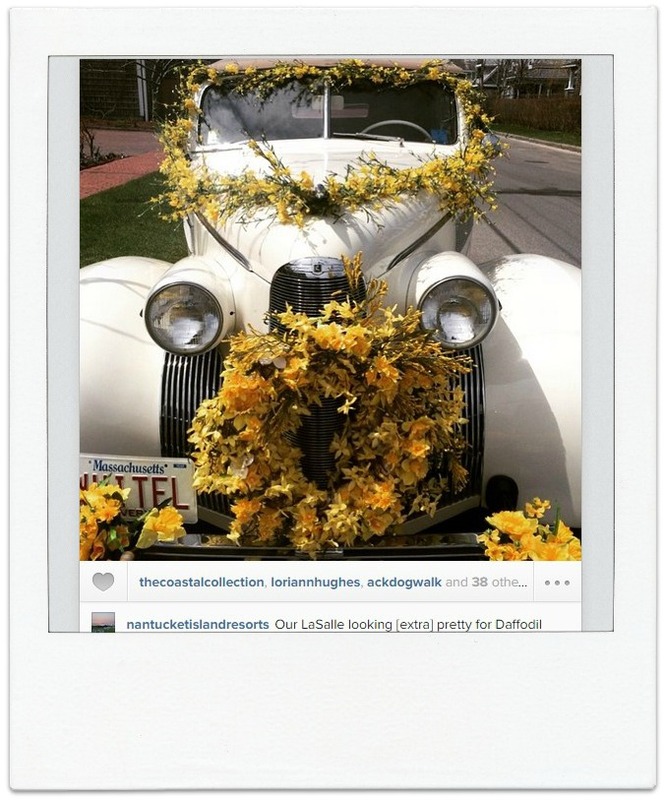 Nantucket Insider shares a few of our "Daffodil Finds" from around the web... Over 100 daffodil-bedecked vintage cars drive in the annual car parade to Siasconset Village. 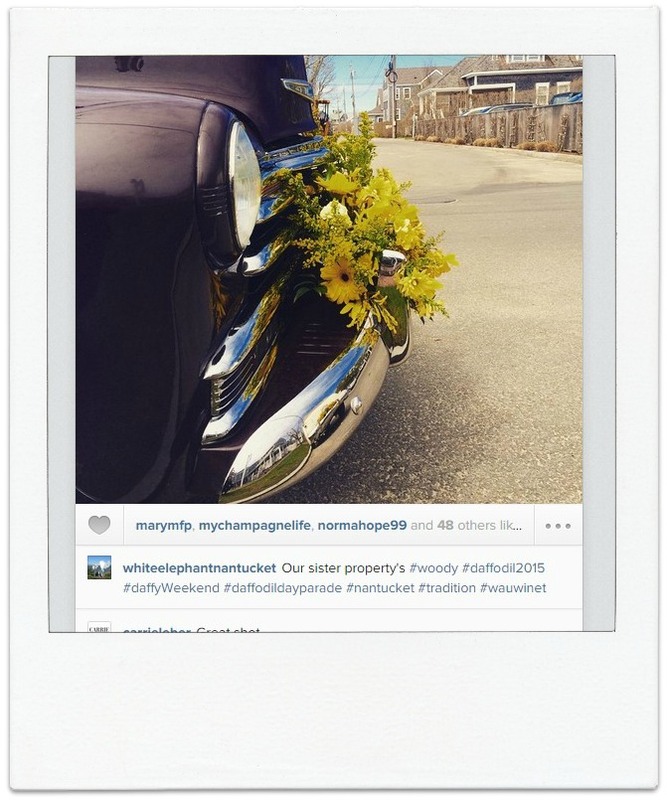 In the first "Annual Nantucket Garden Club Vintage Motor Car Outing" was launched. 19 antique vehicles were registered in the first parade. Here White Elephant's 1939 La Salle convertible and The Wauwinet's 1947 Woody are prepped for the parade! 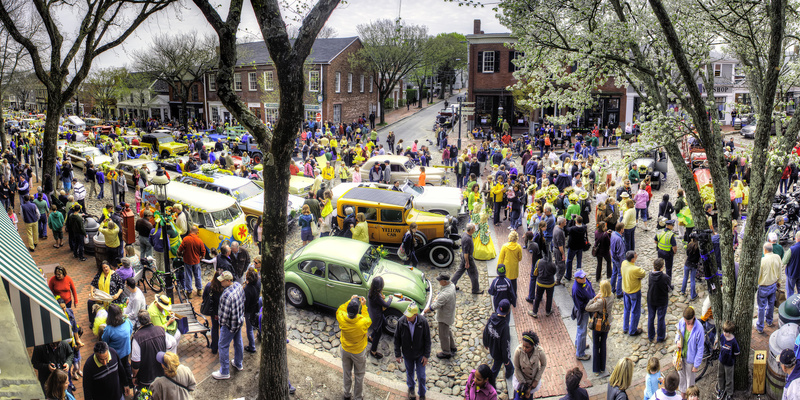 Nantucket's first Daffodil Festival was held in 1974, but the beloved "Tailgate Picnic" wasn't added until 1980. 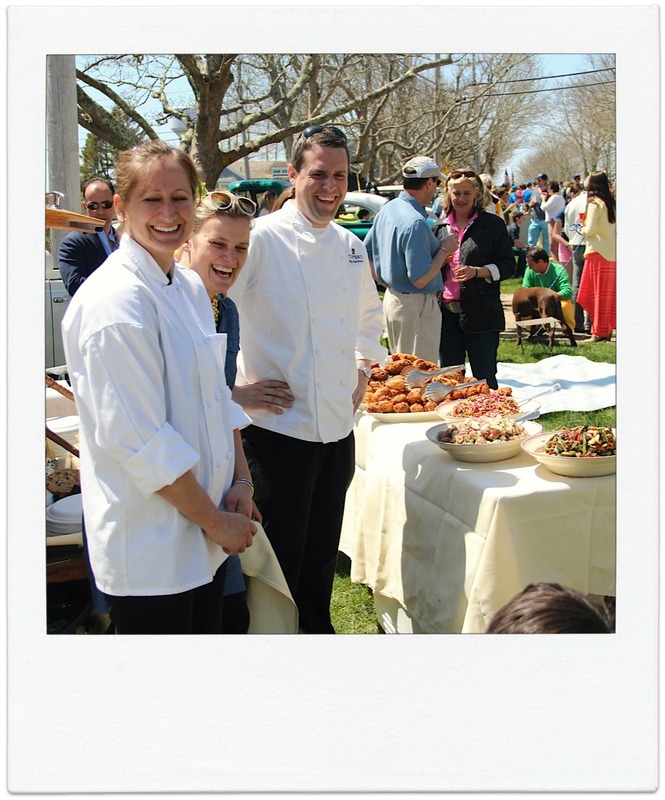 A few lucky guests at White Elephant and Jared Coffin House booked their stay on Nantucket this weekend with a special Daffodil package- complete with a perfect picnic catered by Chef Kyle Zachary of TOPPER'S! 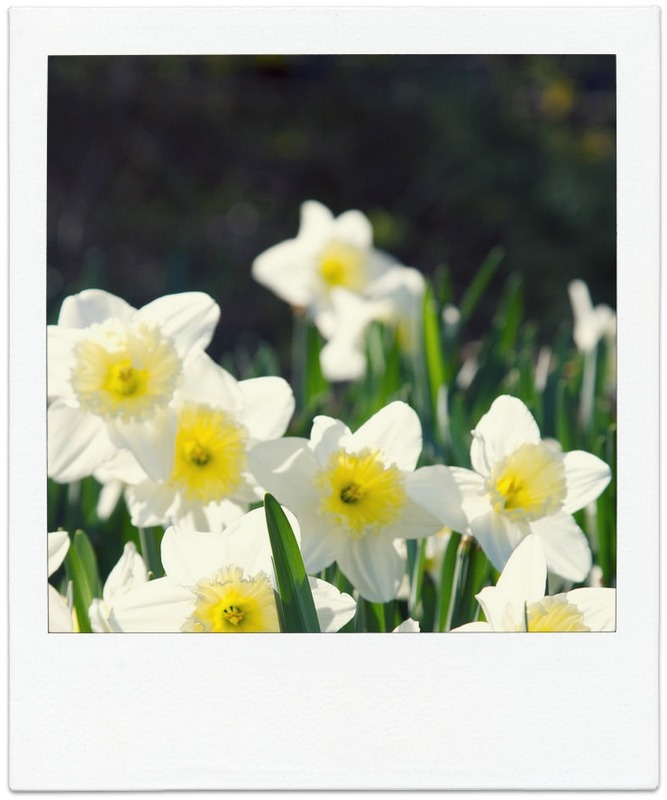 We love this sweet post from design blogger Erin Boyle on Reading My Tea Leaves; a true ode to daffodils, "Sunny Side Daffs"; the perfect sentiments to share with Nantucketers this weekend. A warm welcome for guests at White Elephant was on display in the hotel lobby. 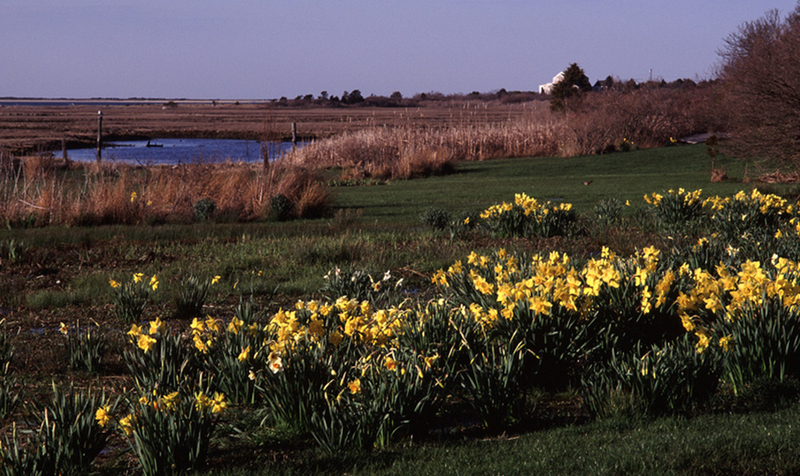 Nantucket Insider found a few useful tips on creating your own daffodil arrangement at home here on domino.com Nantucket Insider checked in on some facts about the Daffodil festival and found that the original goal of the Daffodil Festival Weekend founders was to plant over 1,000,000 daffodil bulbs, now the island boasts up to 3,000,000! Unfortunately, many of the first bulbs planted along Milestone Road didn't survive. They were planted too close to the road and didn't withstand the town's annual mowing of roadsides. For the next planting, the Garden Club set the bulbs out in random bunches farther from the road. This "drift planting" protected the bulbs and gave their blooms a more natural setting. 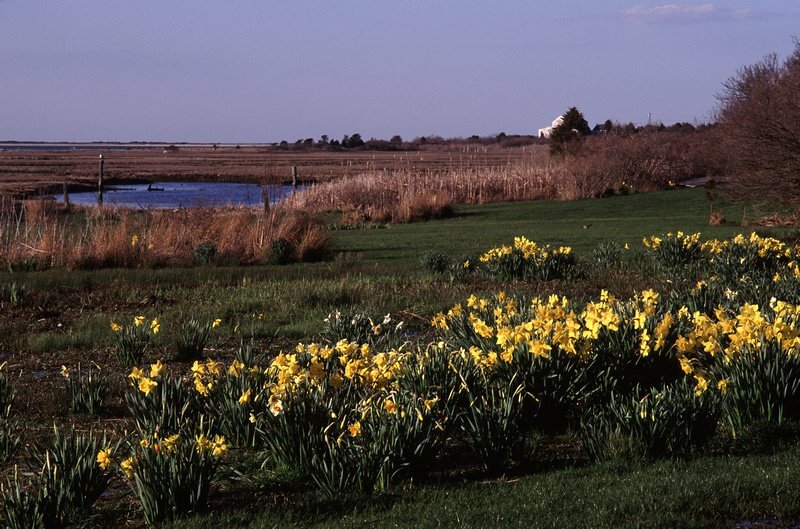 While planting methods have developed over the years, the annual November planting is now an entrenched community event, leading to another community event in Daffodil Festival Weekend each April!